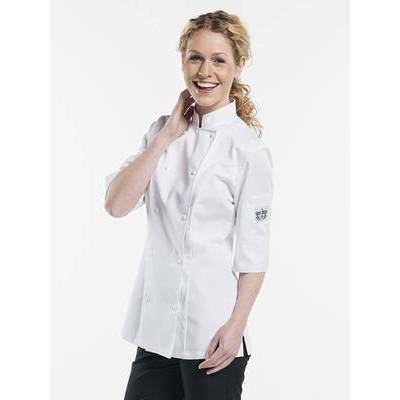 An ultimate Tailored Fit Chaud Devant Chef Jacket Lady Comfort, specially designed for lady chefs. Classic, stylish, modern and professional. It is always hot in the kitchen especially during summer months. Fortunately we haven�t forgotten the ladies because they can also stay cool and comfortable in our Chaud Devant Lady Chef Jacket Comfort White with elegant � sleeves.